America is currently experiencing a mattress renaissance. There are a wealth of ecommerce startups and review sites online vying for your attention, and your money. Across the web, from blogs to news sites to YouTube, everybody is talking about—and selling—mattresses. Like most everything else on the Internet, online mattress stores attempt to offer a basic solution to shoppers that is based entirely around perceived convenience and low prices. So what if we told you that buying a mattress from Roberts Furniture was not only convenient and affordable, but also your best option when it comes to mattress shopping, hands down? 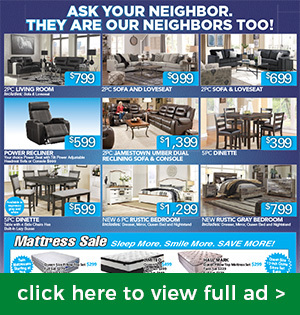 With five Virginia locations and the lowest mattress prices around, Roberts Furniture is your number one stop for mattress deals for the simple fact that we have something mattress startup sites don’t have: the power of personal experience. When shopping for a new mattress, nothing beats buying from a mattress store. Why? Because the key to buying the best mattress of your life is to try it out. Mattress experts agree that the only way to truly know if you’re getting the best deal on a mattress is by lying on it for at least 15 minutes. By taking a “test drive” on a new mattress, you will know exactly how it will line up with your body. Paying attention to your spine, your pressure points, and your breathing, you will know whether to opt for a gel foam mattress, an innerspring mattress, or a combination hybrid mattress, and whether it should be a plush mattress, a firm mattress, or something in between. Here at Roberts Furniture, we not only have incredible deals on all our mattresses, but also a curated selection of mattress sets that include foundations. Save the most on your new mattress by purchasing a mattress with a box spring or solid foundation base, all at ultra-affordable prices. These are the kinds of deals you won’t find online, so stop in and see a member of our friendly sales team to get the mattress of your dreams today. Visit our furniture and mattress showroom in Yorktown, VA, or any one of our four other Virginia locations.